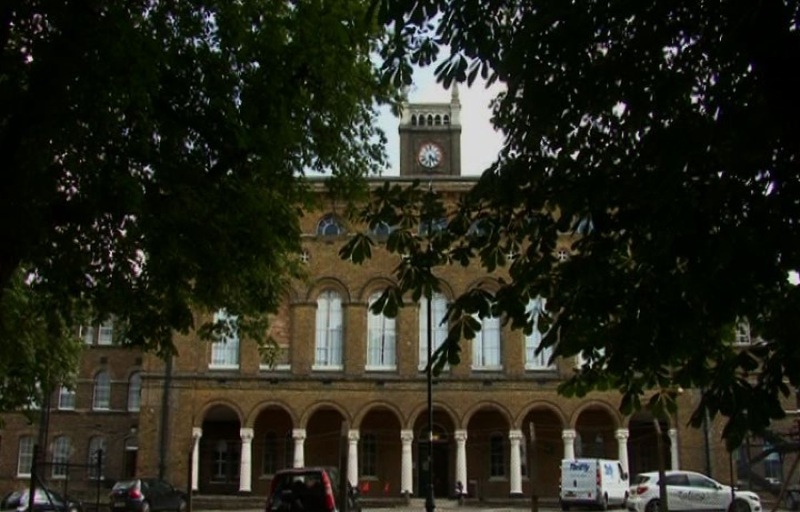 On the 16th of July our film will be screened at the Pepy’s estate 50th anniversary festival in Deptford (SE8), which is running from 2-10pm. We worked on this film with the residents of the Pepy’s estate as part of our poverty and the media project. Our film shows the effects the BBC’s documentary series ‘The Tower: A Tale Of Two Cities’ had on the residents of the Pepy’s estate and their views on how their community was portrayed. At the time of release The Tower received mixed reviews, it won awards but also sparked controversy as some people claim it was based on stereotypes of people who live on council estates. Our full film will be available shortly on vimeo on demand and we encourage you to come and watch it at the Pepy’s festival on Saturday at 9pm where it will be screened. For more information on the festival and up to date information of the screening times you can find out on our social media. You may have seen us filming already. Now we’re looking for White City residents to produce they’re own film about the area. Anyone interested in being involved will be taught to use our professional digital video equipment to create a film about the Olympic history, how White City’s changed since then and how it’ll continue to evolve in the future. White City has transformed so much over the last century, this will be a great opportunity to be tell that story and pick up some useful skills and local knowledge along the way. The first shoot date is Thursday 6th August, when we’ll be running an introduction at Pheonix School before going down to film the Street Athletics and hopefully get some interviews with Linford Christie, Andy Slaughter MP and those watching and taking part in the event. 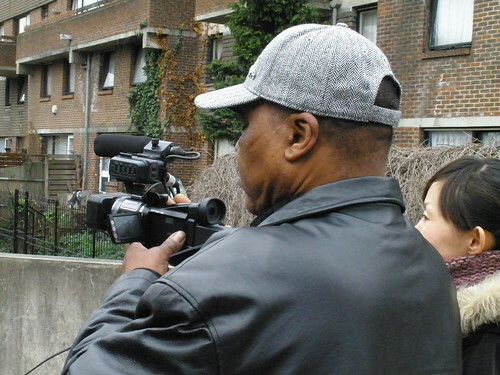 Spectacle has been commissioned by the Joseph Rowntree Foundation to produce a DVD on Poverty and Participation in the Media. The DVD will be produced in Spectacle video workshop situations working with people with experience of poverty. – How is UK poverty depicted in the media – TV, radio, press, online. What are good examples and what are not? Why? – How would participants like to see their lives and situations depicted in the media? How could these be made into films and videos that will engage audiences? – What are the stories about poverty that need to be told to a UK public that are not being told now? How could these be told engagingly? Why do these need to be told? 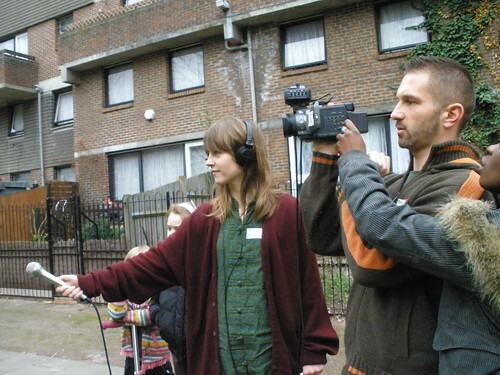 – How does it feel to share experiences of living on a low income to a journalist and/or on film? – What might people worry about if asked to share their views on poverty in the media? How can their worries be reduced? – What experience of new media do people have e.g. social networking sites, use of mobiles, blogging? What opportunities do these offer for telling the stories of life on a low income in the UK? Who would these reach? If you are interested to participate in the workshops please use the Spectacle contact form or leave a comment here. If you want to contribute to this blog on the subject of Poverty and the Media please contact Spectacle and we will register you as an editor or leave a comment.